One of the highlights on our recent trip to Dubai was a visit to the Dubai Miracle Garden. 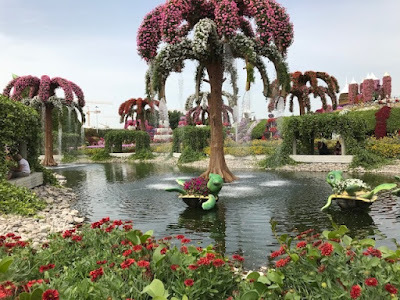 The Dubai Miracle Garden is a beautiful garden filled with colourful flowers (150 million of them!) forming arches, patterns, and all sorts of shapes. Among many other displays, you can currently see a Disney floral character display, a life-size Emirates A380 plane, a 12 metre high teddy bear and a huge variety of different creatures brought to life through the medium of flowers. 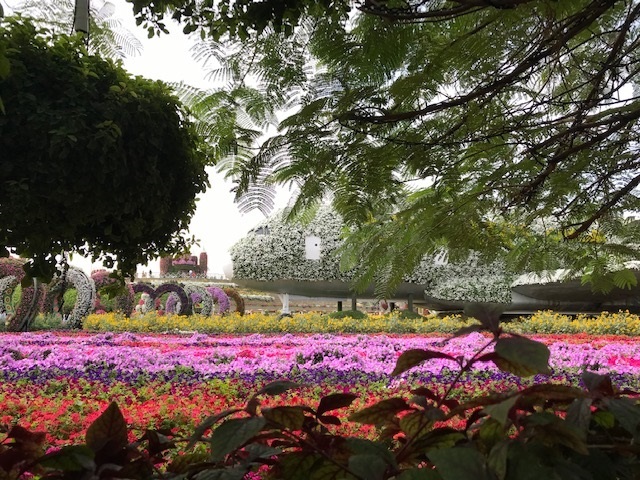 The gardens are arranged in a circle. Shops and restaurants are situated around the outside, with decorated walkways leading towards the lake in the middle. There are plenty of focal points, like a small castle which housed the prettiest Starbucks I've ever seen! 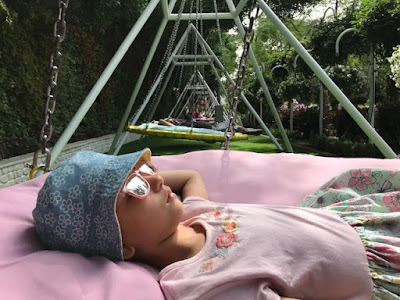 There are also lots of places to sit around the gardens in the shade and soak up the atmosphere, we all loved these huge swinging seats where you can lie comfortably! There are also lots of hammocks and chairs and tables to sit and enjoy a drink or snack. If you enjoy photography you are spoiled for choice when it comes to backdrops, it's definitely a very instagrammable spot! It was a perfect family outing - lots to see to keep the children interested, and plenty of places to sit and rest when it got a bit too hot and tiring. 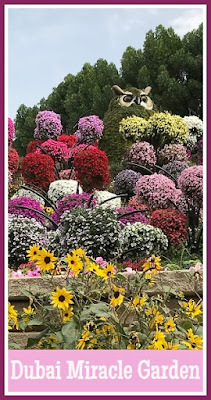 Dubai Miracle Garden is closed over the summer months for renovation so check dates on the website here - Dubai Miracle Garden. It will be open from mid-November to mid-May. We travelled from our hotel in central Dubai by Uber and returned by local taxi, with the local taxi price working out slightly cheaper. There were plenty of taxis waiting outside at the exit. We purchased our entry tickets when we arrived and there was no queue. At the time of our visit the entry price was 50AED for an adult and 40AED for a child - about £37 at the current exchange rate for our family of two adults and two children. You can spend as long as you like in the gardens, our visit lasted about 2 hours but would have been longer if we'd stopped for something to eat or drink. Although it can be hot in the sun, there are plenty of shady areas to sit and rest. There are also plenty of shops selling refreshments, covering a variety of different cuisines, and places to sit and eat your own snacks. 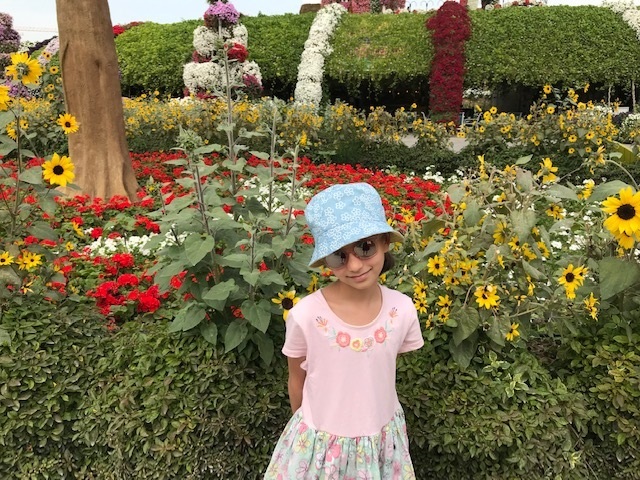 We've just returned from an amazing week in Dubai over the February half term, and I thought that I'd share some of our highlights! We spent our first three nights at Atlantis The Palm which is situated at the top of The Palm Jumeirah, a huge artificial palm shaped development off the Dubai coast. Then we spent the following three nights at the Address Hotel, Dubai Mall which is in a much more central position and ideal for sightseeing. The Atlantis Hotel really is an amazing hotel, and the decor is absolutely stunning. As a resident of the hotel you can enjoy unlimited access to the Lost Chambers Aquarium. We enjoyed it so much that we went every evening, which was a great time to visit as it wasn't too busy. As well as being a home for fish and other sea life, it's themed around the lost city of Atlantis myth which really made it unique. It's filled with models of technology from Atlantis, like communication devices and diving gear, along with explanatory panels - Harry enjoyed looking at all this as much as the fish! The large aquarium tank forms a central part of the hotel itself, with restaurants and even hotel rooms which have an aquarium wall. Our room was situated above the tank which was beautiful by night as the sharks and rays circled around, and during the day you could watch people diving and snorkelling from above. Residents can also enjoy unlimited access to the Aquaventure Water Park. We are all a bit timid when it comes to fast water rides, but we loved going around the Lazy River on a rubber ring, which isn't lazy at all as the slow stretches are interspersed with splashy rapids sections. There's also a brilliant tube ride where you are taken through a tunnel inside a fish tank. The hotel has two large swimming pools with plenty of areas to sit and soak up the sunshine. We also spent some time on the beach, although after Mia came running up shrieking having accidentally touched a dead jellyfish that was lying on the sand we were a bit wary of going in the water, and in fact when we had a proper look we realised that there were actually rather a few swimming past. They were dark blue and easy to spot, and the lifeguards didn't seem worried, but it did put me off going in for a paddle after that! The only disadvantage of the Atlantis is that you feel very removed from the rest of Dubai, and it's quite a wrench to make the effort to leave it. So I was glad that we had another three nights booked elsewhere and had the chance to see some of the other sights! The Address Hotel was also lovely. We were upgraded to an apartment as there was a delay to check in, so we had a room with kitchen on the 38th floor - a height which made me a little nervous but which had an amazing view right out to the Burj Khalifa! The Burj Khalifa is currently the tallest building in the world, although I'm not sure how much longer it will be able to claim the title as buildings are getting taller and taller! You need to book tickets in advance, especially if you want to visit at a popular time like sunset, and there is a lot of queuing to get up to the top and then back down again. But the views really are amazing from the top and there is plenty to see. We were lucky to choose a clear day to visit and we could see back out to Atlantis and admire all the other high rise structures in the air. We even saw the Dubai Fountains from above! We spent a lot of time watching the Dubai Fountains, which really are spectacular. During the evening they run every half an hour, and although the area directly outside the Dubai Mall was very busy it doesn't take long to walk around to find a quieter spot. There are also several restaurants with good views. Buying a ticket to the Burj Khalifa gives you access to a large floating viewing platform which had a great view. We spent two evenings wandering around, punctuated with stops to see the fountain shows. The Dubai Mall contains many attractions. Because of our delayed hotel check in we were given complimentary tickets to the Dubai Aquarium and Underwater Zoo which was also very good, the aquarium itself isn't huge and you can see a lot of it for free from the mall, but the Underwater Zoo had some interesting exhibits, and not all sea life related. We were also given a few free tickets to VR Park Dubai, a massive Virtual Reality theme park. I've never experienced virtual reality before and it was amazing, although quite intense. This is me finding my way around a labyrinth to shoot skeletons and defeat the minotaur! 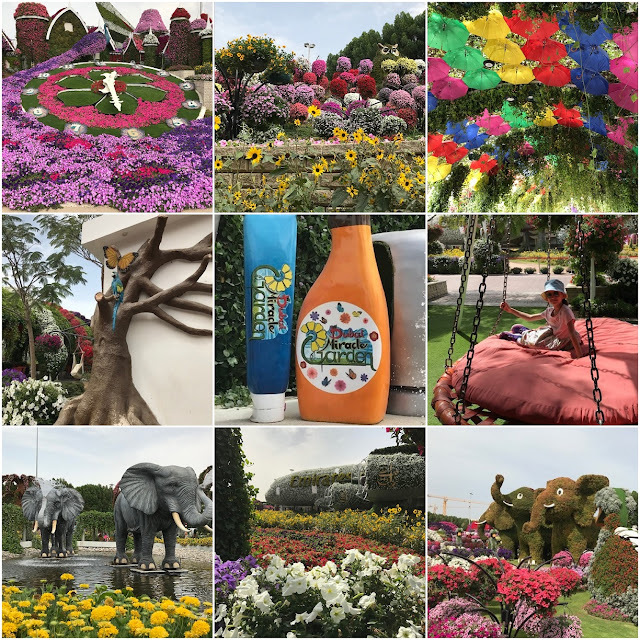 We took a trip out to visit the Dubai Miracle Gardens which was a definite highlight of the holiday. It's a flower garden just outside the city centre, with some beautiful flower sculptures and shady areas for relaxing. I enjoyed it so much that I'll be blogging about it separately - I have some beautiful photos to share! Finally we took a trip out one evening to Dubai Festival City, another shopping mall which features a nightly laser light and fountain projection show. There was also a special pirate themed play area and sand pit for the children along with restaurants. One thing that particularly struck me about Dubai was the number of people (mainly young ladies) posing for instagrammable shots at every opportunity. In fact I got quite annoyed when people kept asking the children to move out of their way in the aquarium so that they could take the perfect picture. But I couldn't help getting Harry to recreate one of the poses I'd seen in front of this large curved screen in the Dubai Mall! We had a lovely week in Dubai and saw and did so much, we really did have an amazing time! One of the things that I love about cruising with Disney is how you can add some magical extras to your cruise. 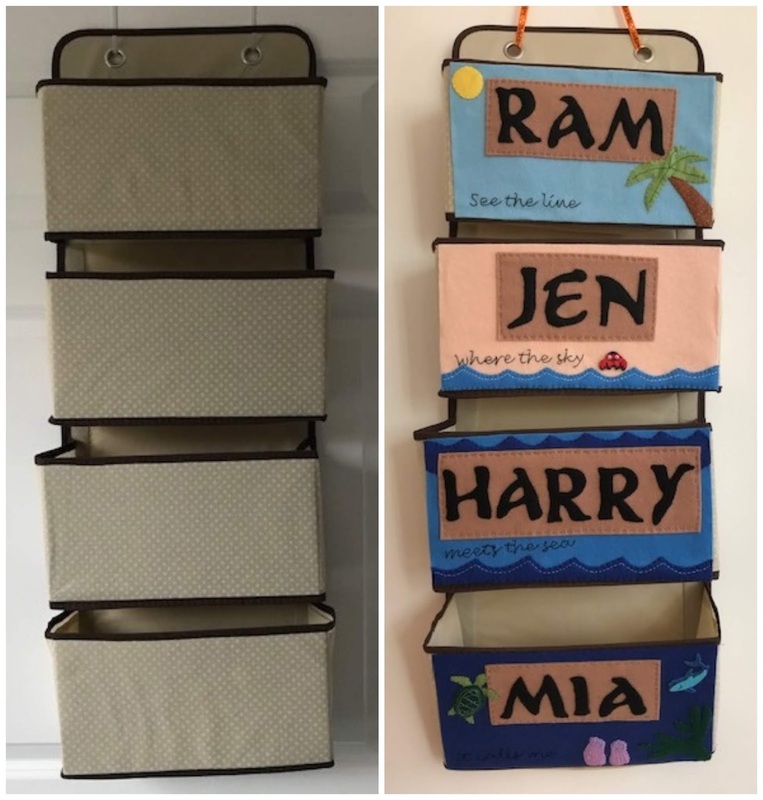 Preparing for the cruise is also a great way to show off your crafty side. 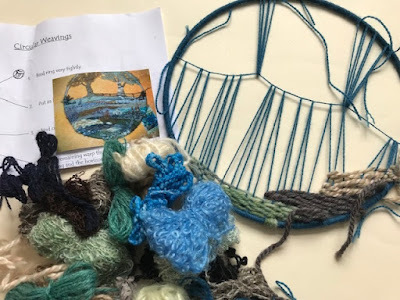 I've been blogging about some of the things that I've made in preparation for our cruise later this year, and so I thought I'd round them all up together in one place in case anyone is looking for some inspiration. The largest thing that I've made for our Disney cruise is our Fish Extender. This is a hanging organiser with pockets which is hung outside the stateroom door. It's used for an organised gift exchange, where you swap gifts as part of a group with your fellow cruisers. To make it I made front pieces from felt for each of us. It has a Moana theme, with progression from under the sea to the sky and a line from the song embroidered onto each pocket. As well as signing up for a Fish Extender gift exchange I've also signed up for an ornament exchange. This is an exchange to swap Christmas ornaments amongst a group of cruisers. They can be Disney themed, cruised themed, be themed to where you live or have no theme. 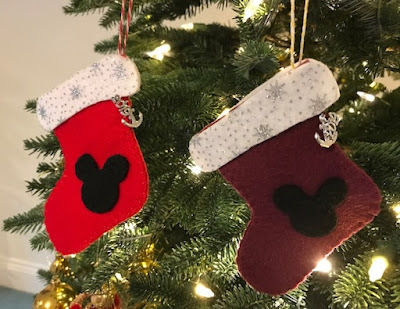 I decided to make some mini felt stockings. Many of our fellow cruisers will be from the US so I'm going to put a small Cadbury's chocolate bar inside each one, then I'll package them in a Christmas themed bag with some Mickey Mouse head confetti and Christmas ribbon. On our last cruise I enjoyed trading pins with people via boards on their stateroom doors, so I have made a fabric hanging pin trading board for our own door. I've bought a bulk lot of Disney trading pins from eBay, some of them will be used as Fish Extender gifts and the others will be left on the door for people to trade. 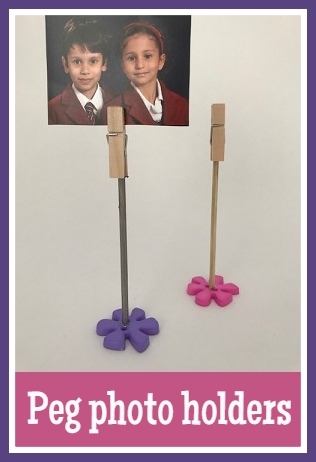 Obviously there is a risk involved with this, I hope that most people at least will leave a pin in return if they take one! I may bring it inside the room overnight, and if I lose too many I'll take it down! We are going on a Halloween cruise, hence the pumpkin theming! Finally another way to share treats with my fellow cruisers is with this hanging treat holder. 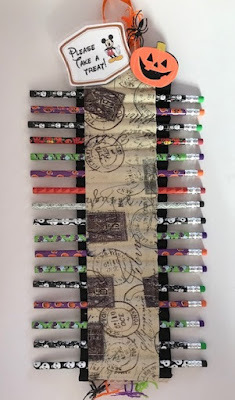 The thin fabric pockets can be used to hold lollipops, pencils, glow sticks...and I also have some plastic spiders that I will hang from the pencils. I've heard that these holders can be emptied very quickly so it may only last a day or two as I don't have the budget or luggage space to pack hundreds of treats! I still have more crafting in mind for the cruise. I want to make some bookmarks and magnets like the ones below that I made for our last cruise. I already have laminate sheets and magnets so they won't cost me much to make, and the children and I really enjoyed distributing them around the ship. I'll also be making more magnets to decorate our stateroom door, which is a big thing on the Disney ships. In 2015, we were lucky enough to enjoy a day in Rome. We were on a cruise which stopped off at Civitavecchia, from which you can get to the city, relatively easily, and we had a great day. 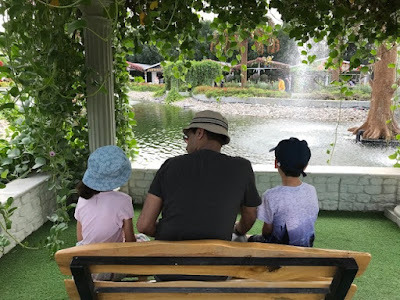 So, I thought I would do a bit of research and come up with a few suggestions to help you to plan a few days there with children. 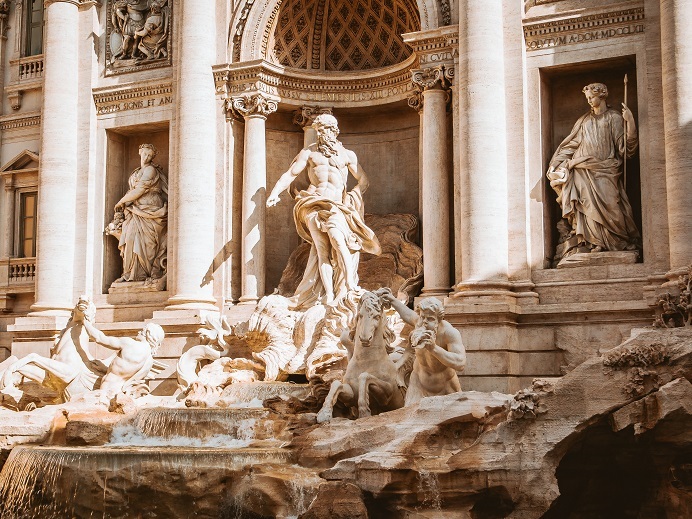 Rome has been a centre of culture for hundreds of years. So it is a great place to introduce your kids to the arts. While staying there you and your children can enjoy classical concerts, the ballet and operas, which you can find out more about here. Each year, various performance groups put on special shows that are specifically designed for young fans. They are well worth checking out if you have fairly young children, for them sitting still for a full performance may be too challenging. The older they get the more likely it is that they will enjoy a full-length opera or ballet. Both of these places are different enough for kids to enjoy visiting them. There are plenty of tours you could take. But, it might be best to download a guide and make your way around at a pace that suits you and your kids the best. For adults and older kids the gladiator school is a fantastic activity. Kids as young as 6 can participate, but, you have to bear in mind that this is a fight-focused school. The idea is you have fun while you learn about the gladiators of Rome and how they used to live. You can find out more and work out whether this is a good option for your family by clicking here. If you love pizza, why not attend a pizza making dinner. It is a fun and interesting way to sort out a meal for the day. 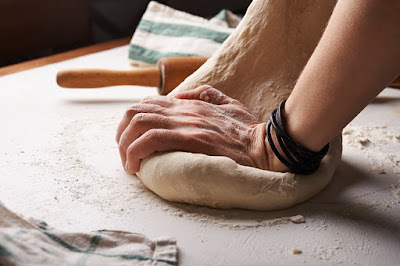 Several of the city’s restaurants offer you the chance to learn how to make pizza the traditional way. Many of them welcome kids, but you will need to ask what the age or height limit is before booking. While we are on the subject of food, a gelato tasting tour is another excellent idea. A lot of these tours take place in the early evening making them a great way to round off the day. If you really want to make sure the kids are tired enough for bed let them climb the 551 steps to the top of St Peter’s Dome. The view from the top is amazing. If that seems too much, consider taking the lift, instead. It reaches about halfway up the dome, leaving you with fewer steps to climb. No trip to Rome would be complete without a visit to the Trevi Fountain. It is fun for both kids and adults to throw money in and make a wish. Just be sure to have some low-value coins in your pocket. If you do not do so, following this special custom could work out expensive. 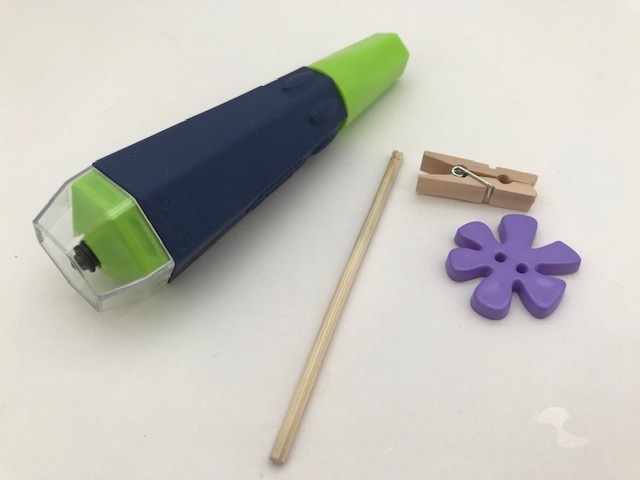 Assemble everything that you need. I cut down my skewer to a length of about 10cm and sanded the ends flat. 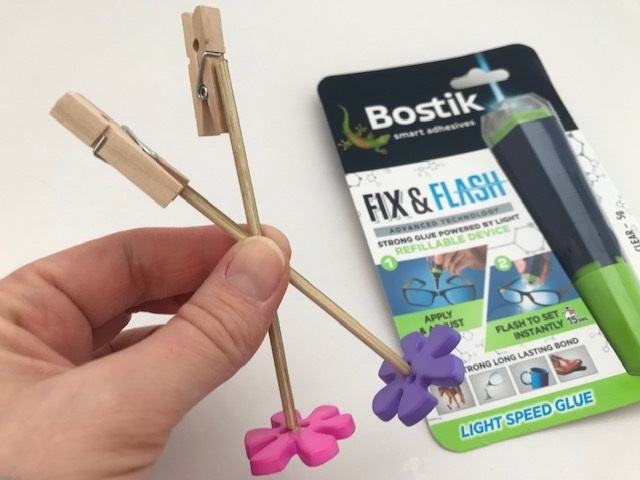 Use the Bostik Fix & Flash to glue the pieces together. 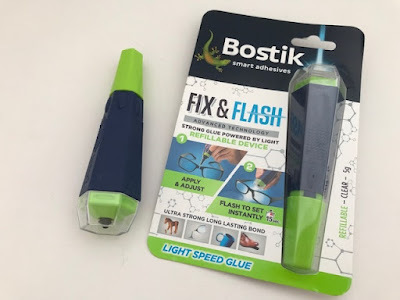 Bostik Fix & Flash is a very strong glue that is activated using the LED light which is contained within the glue pen. 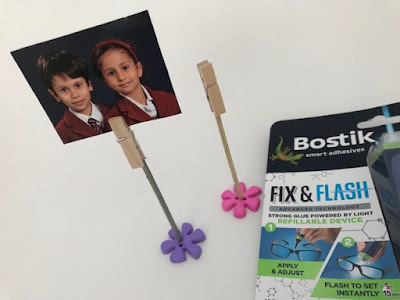 First you need to apply the glue to one of the surfaces, then make sure that you are happy with the positioning of your items. 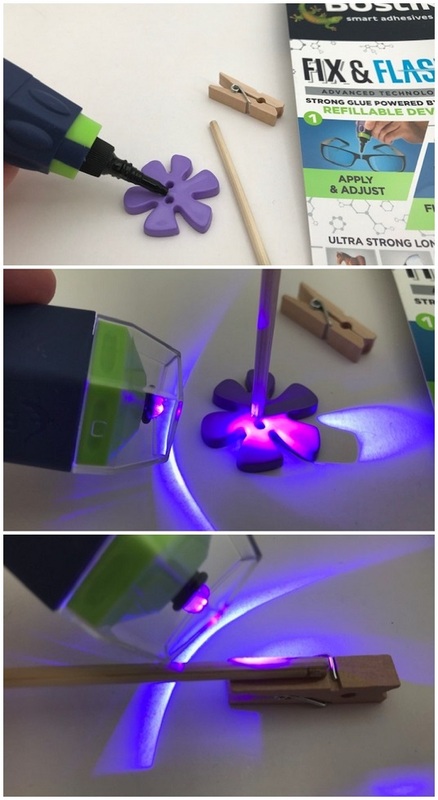 Press the light on the bottom of the pen to turn it on, and direct it towards the glue for 10-15 seconds. The glue will dry clear within seconds, creating an extremely strong bond between the surfaces. If you wish, you can use acrylic paints to paint the stick and peg. I used silver paint on one of my peg photo holders. Here they are, ready for display! Bostik Fix & Flash will create a strong adhesive bond on all sorts of surfaces. I've also used it to repair plastic toys and a metal keyring and have been very impressed with how well it sticks. Bostik Fix & Flash can be purchased in Hobbycraft. On our Disney cruise later this year, for the first time I've signed up to take part in a Fish Extender gift exchange. 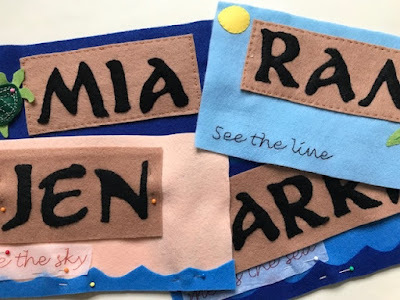 This is a fun organised exchange of small gifts that takes place on a Disney cruise, and is usually organised through the Facebook group for your sailing. We'll be placed in a group with a number of other families and will exchange gifts with them, either one gift for the cabin or individual gifts per person. I won't get my final group details for a few months yet so it's too early for me to be thinking about what gifts to give, so I decided to concentrate on making the actual Fish Extender which will hang outside our stateroom door. 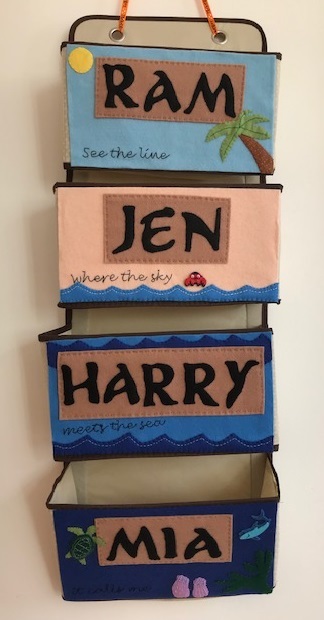 I didn't feel up to making my Fish Extender from scratch, so I purchased this Four pocket hanging organiser (affiliate link) from Amazon to decorate. After consultation with the children we decided to go with a Moana theme, and this is what I came up with! For each of the four pockets I made a felt front piece. My concept is that Mia's pocket is under the sea, and Harry's pocket represents the waves on the surface of the sea. My pocket is the beach, and Ram's pocket is the sky. Each pocket has a line from the song embroidered on it - "See the line, where the sky, meets the sea, it calls me". To embroider the text I traced it from my computer screen onto tissue paper, sewed over the paper on the felt, then removed the tissue paper to leave the embroidery. It's a bit wobbly, but I think that it works! All the other pieces are cut from felt and stitched in place. Here are the four completed panels. I also used some beads for the coral on Mia and a couple of felt stickers. I used spray adhesive to stick the panels to the organiser, with a little bit of fabric glue down the edges to make sure it was all firmly in place. It turned out quite a bit larger than I was expecting, but I've checked the measurements and it should still fit. 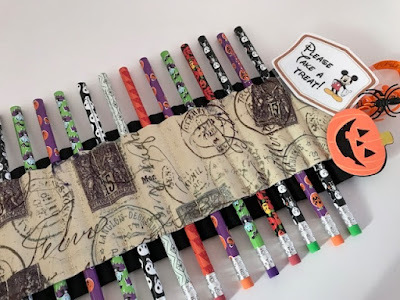 I've used Halloween ribbon to hang it as we are going on a Halloween on the High Seas cruise, and I'm also going to add a few Halloween embellishments to it before we go. 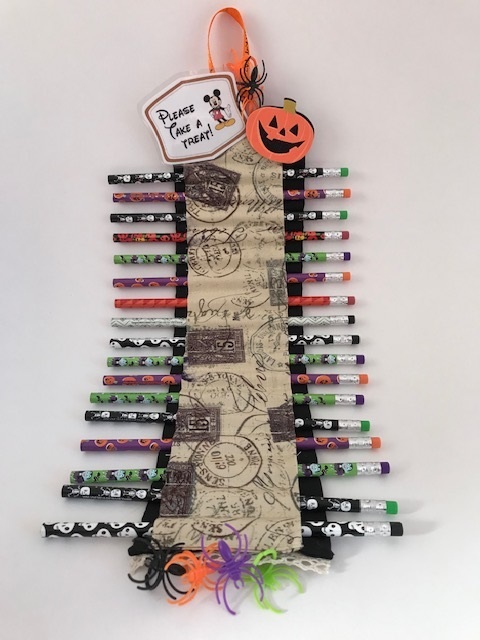 I have some Halloween tinsel that I can tack around the edge, and some large pumpkin stickers. I had a lot of fun making it! 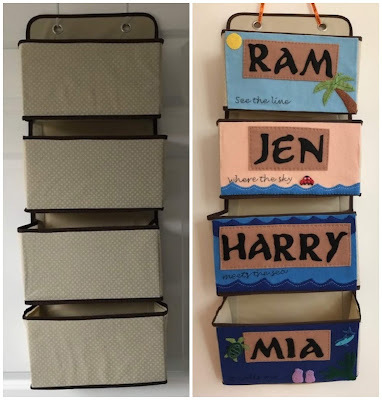 I love having an upcoming cruise that I can craft for, and I'm busy researching ideas for things that I can make as actual Fish Extender gifts! It’s amazing to think that the festive season was just a couple of months ago, and now we’re already looking forward to Spring and all the fun we can have during half term and the Easter break. But did you know that Mother’s Day isn’t too far away either? We’d all love to give our mums the earth for Mother’s Day, after all, they deserve it, right? Or something that will grow with value over time – check out this site for more details about gold and silver investments – but if your budget is a little more modest, or you’re just struggling for ideas, then don’t worry. Read on for 5 Mother’s Day gift ideas that your mum will love. Is there anything mums love more than the chance to relax and take a break from that never ending to-do list? Well, with a trip to a local spa, they can do just that! And if you go with them, it’ll be the perfect way to spend time together. Full weekend spa retreats aren’t always budget friendly, so if your budget is a bit more modest, don’t worry. How about a spa treatment you can both enjoy together? A massage or a facial? Or even just a few hours enjoying the spas amazing facilities. Don’t forget that glass of bubbly! Mums always put everyone else first, so why not get her something that’s well and truly hers? From personalised stationary, so she always have a pen at the ready, to gorgeously personalised cheese boards, even vases and wine glasses. Whether it’s her initials or a special message, your mum will love the sentiment. Buying a journal or a diary for someone is a really special gift. It’s gifting them the opportunity to write down their thoughts, their feelings and their plans for the future. Your mum might love to start writing poetry again or would just enjoy a gorgeous notebook to write down the shopping list on. However she utilises it, it’ll definitely be a gift she’ll love. Does your mum watch Bake Off and wish she was better at baking? Or watch Strictly Come Dancing and wish she had continued her childhood dance lessons into adulthood? If that sounds like your mum, then why not gift her some lessons or a class? From poetry and creative writing, to painting and drawing, photography, dance classes, pottery making, cookery, sewing or even singing, there’s something every mum will love getting her teeth into. It’s a great way to socialise and even start a new hobby! If your mum is always on the move and is no stranger to the gym and keep fit. Then you could treat her to something that improve her exercise and workout routines. From a new water bottle, to a new class at the local gym, a fitness tracker, or some personal training sessions that will take her gym routines to the next level. I don't have a dedicated craft room, and so I do all my crafting in our study. It's a nice little room with my computer, bookshelves and a comfy sofa. At the moment though it's starting to look like a visual representation of my crafting to do list, with various bags and boxes strewn about, each one a different work in progress. 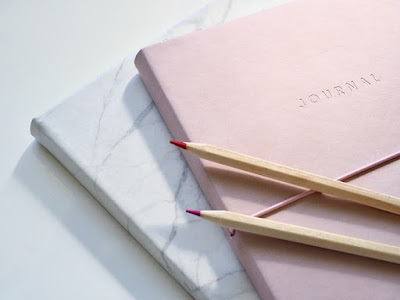 It's starting to feel a little overwhelming, so I thought that I'd make a list of the things that I need to work on, so that I can start to tick a few of them off! I'm loving doing some crafting ready for our Disney cruise later this year. I've already made a pin trading hanger and a treat holder, as well as some felt stocking ornaments for the ornament exchange. I still have enough felt to make a few more stocking ornaments so I have everything I need for those bagged up and ready to work on. My next big crafting project for the cruise is to make the Fish Extender itself - the pocketed organiser that hangs next to the stateroom door and is used as a way to exchange gifts once on board. I have bought a plain over the door organiser from Amazon and I'm going with a Moana theme. 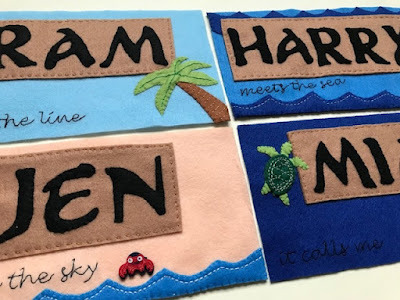 There are four pockets, so we have one each which will have our name on it, and I'm making a front piece from felt for each one. I've got a bit of work to do yet - the concept is that the bottom pocket starts under the sea then as you move up you go through the waves, the beach and finish at the sky. 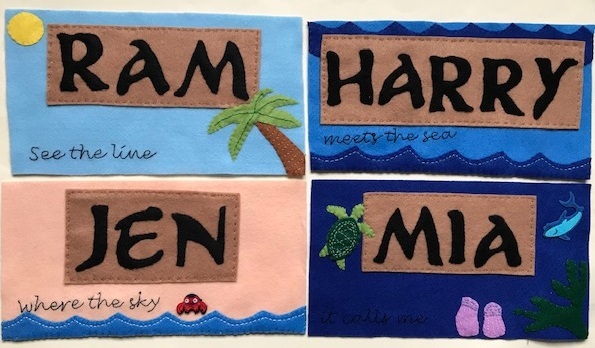 Each pocket has a line from the song - "See the line...where the sky...meets the sea...it calls me". There's lots to do, but here's where I'm at so far, I'll definitely share it once it's finished! Moving on from Disney, I've recently picked up again a project that I was struggling with and so had put to one side. It's a circular weaving kit from The Threshing Barn that my Mum bought for me at a craft fair. I like weaving, but I was struggling with getting the warp threads around the ring because of the curved surface. So I took apart what I had already done and started again, this time using fewer warp threads. This worked much better, and I'm much happier with it. So I've made a good start with the weaving, and I like it because I can just do a little bit at a time. I'm not sure that I can do it quite as well as in the pictures, but it's going to be fun to work on! My Christmas cross stitch continues. I really want to have it finished by Christmas this year, but with all the other things I want to work on I do need to make an effort to get it done. 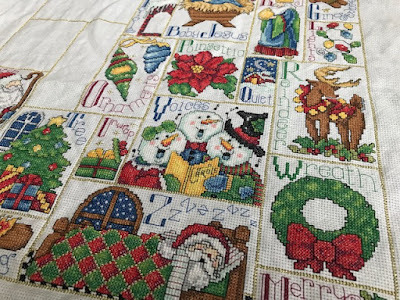 Although I'm doing really well with the main cross stitch part there are lots of beads to be added which is going to take me a while. 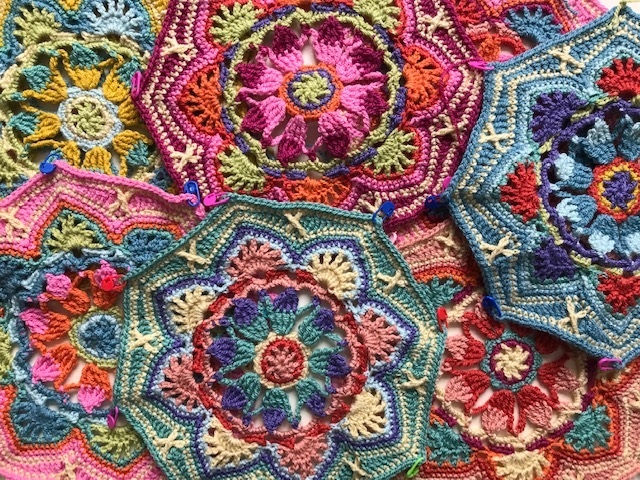 Finally, a project which has become somewhat buried under the others is my Persian Tiles blanket. I love this blanket and I really do want to finish it, I just need to get back into it! Let's hope that I can get a few of these projects ticked off. I'm going to be busy! 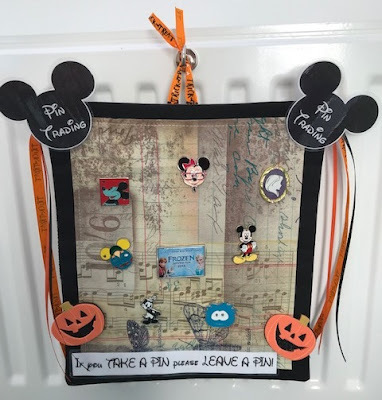 Last week I shared the fabric Disney pin trading board that I made for our upcoming Disney cruise. 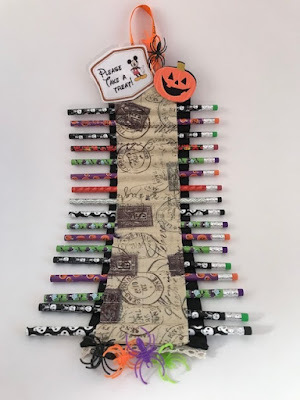 This is just one of several crafts that I have in mind to add a little more fun to our Disney cruise, and this week I finished off another - a pencil and treat holder for our stateroom door! 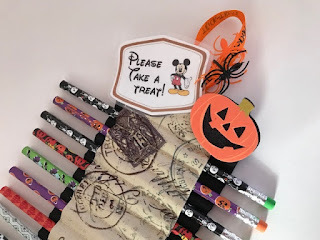 We are sailing on a Halloween themed cruise, and while we were in the US last year I stocked up on some Halloween treats that I intended to use as Pixie Dust - little gifts to hand out to other travellers. But then I spotted some treat holders online and decided that I'd like to make my own to share some of the treats via our door for passers by to grab! The treat holder was very simple to make. I made a backing strip from black fabric which had a layer of interfacing inside to make it a little stiffer. Then I used a second strip of fabric (or you could use thick ribbon) and sewed it to the black background using a series of rows of stitches, each one about 1.5cm apart. This makes loops of narrow pockets (mine has 17) which you can use to hold all sorts of things. It's attached to the door with a ribbon loop over a strong magnetic hook (I really hope that mine is strong enough! ), as all door decorations need to be magnetic. Many people use these holders to hold lollipops, but they can also be used for pencils, glow stickers, candy canes, reusable straws or long thin candy. Because we are flying in for our cruise I wanted to use something small and light so I'm mainly going to use pencils, but if we are able to stop at a supermarket before we board I may buy a big bag of lollies too. I also have lots of little plastic spiders which I can hang from a strip of lace at the bottom or from the pencils themselves. I've not done this before so I've no idea how popular it will be! I hope that everything doesn't disappear within the first day - if it starts to go quickly I might bring it inside for a day or two to restock. If I'm left with anything I'll pop it into the Fish Extender pockets on people's doors on the last sea day of the cruise, as I don't want to be bringing them home with me. Like the pin trading board my hanger has a Halloween theme as we are taking a Halloween on the High Seas cruise. But it can easily be changed to suit any season by adding some different stickers and ribbon so I can use it again on any future cruises that I'm lucky enough to take! You can read about more ways to add some magical extras to a Disney cruise here!